2 Why This Unit? Throughout modern history, nationalism and religion have played crucial roles in both uniting and dividing people. They form part of the identities of most people in the world, creating communities from similar and different backgrounds bound by common values and aspirations. 3 Why This Unit? 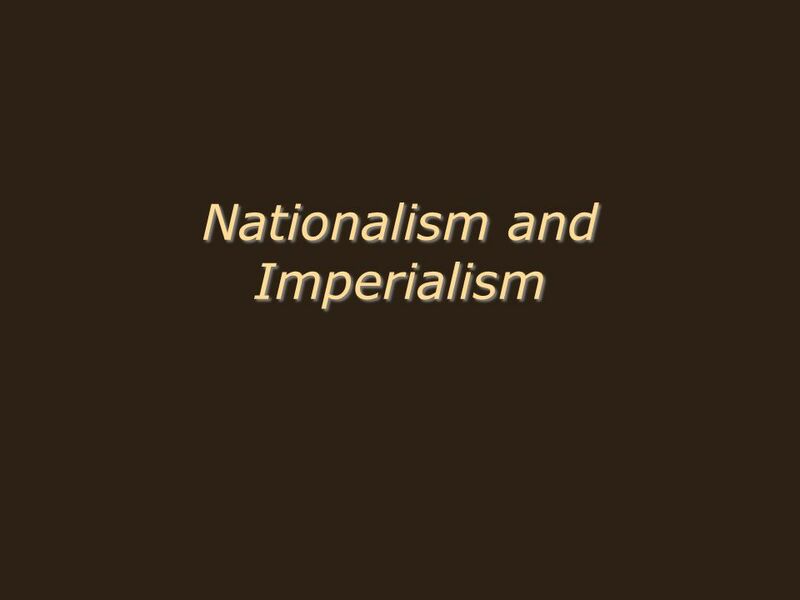 The new ideology of nationalism emerged out of the era of the Atlantic revolutions in the late eighteenth century. It continued to grow and spread in the nineteenth and twentieth centuries, as the convergence of such forces as technology liberalism and imperialism combined to create important changes in the way people saw themselves, the world, and their place in it. 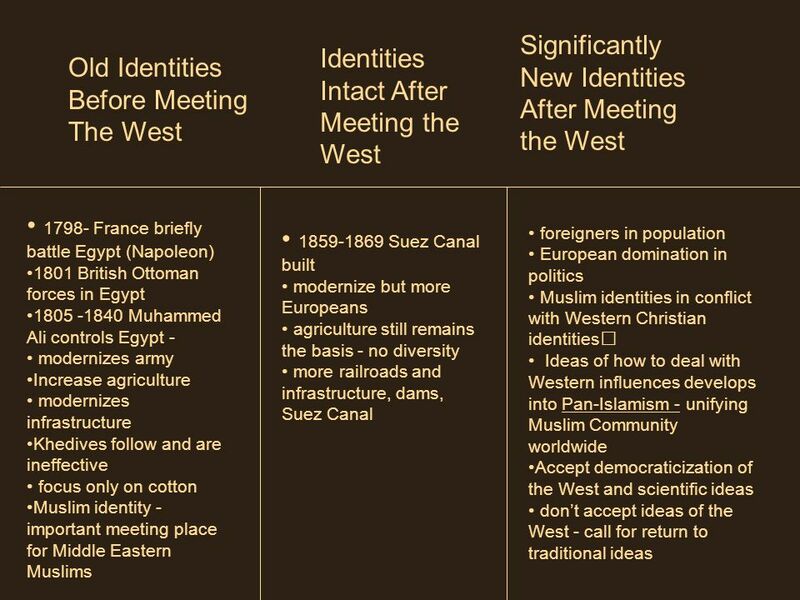 As nationalistic movements spread from Western Europe to the Americas, Africa, and Asia in the second half of the nineteenth century, people began forming new allegiances to a defined nation, and along with those new allegiances, new identities. 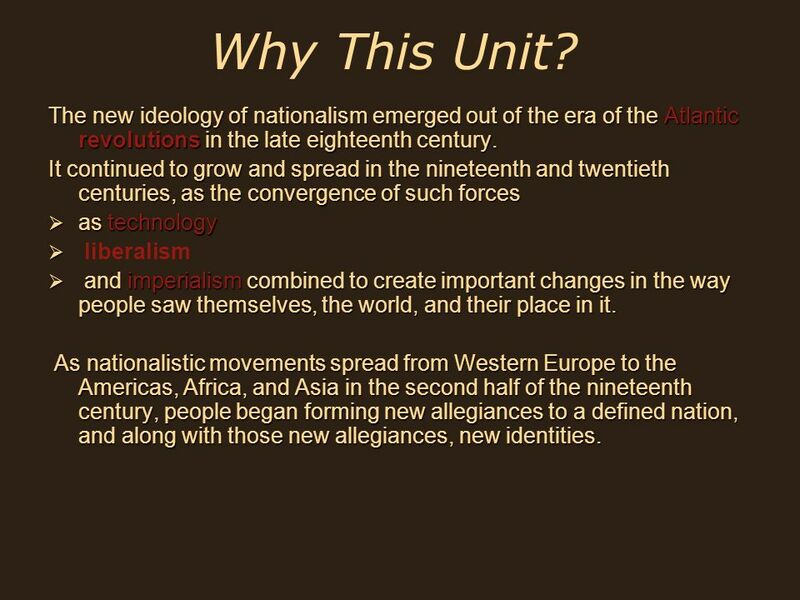 4 Why This Unit? Although there was a rise in secular culture during this period, people also continued to define themselves through religion. Religious identities sometimes clashed with nationalistic identities, while in other instances they spurred nationalistic movements. 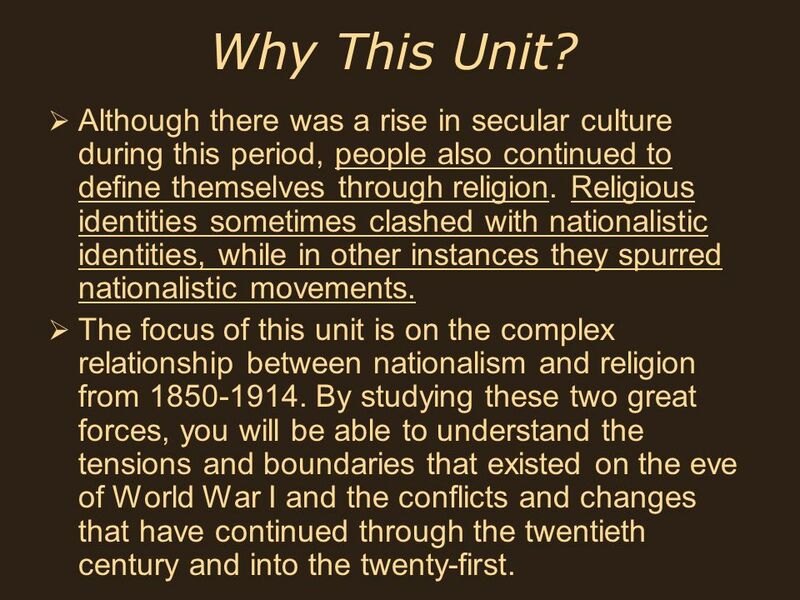 The focus of this unit is on the complex relationship between nationalism and religion from By studying these two great forces, you will be able to understand the tensions and boundaries that existed on the eve of World War I and the conflicts and changes that have continued through the twentieth century and into the twenty-first. 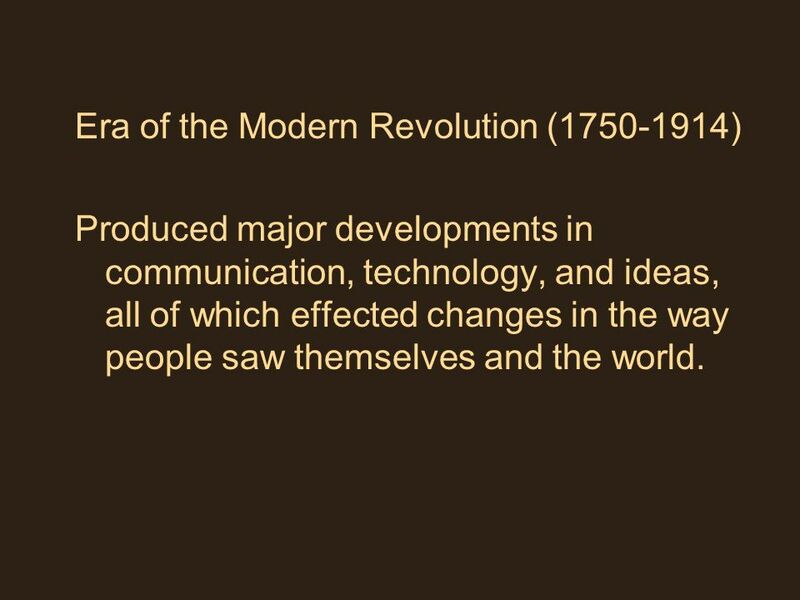 Produced major developments in communication, technology, and ideas, all of which effected changes in the way people saw themselves and the world. At the beginning of the era, most people in the world gave allegiance to a religion or religious leader, and the most common state was the dynastic state, largely consisting of rulers who were “divinely” ordained. 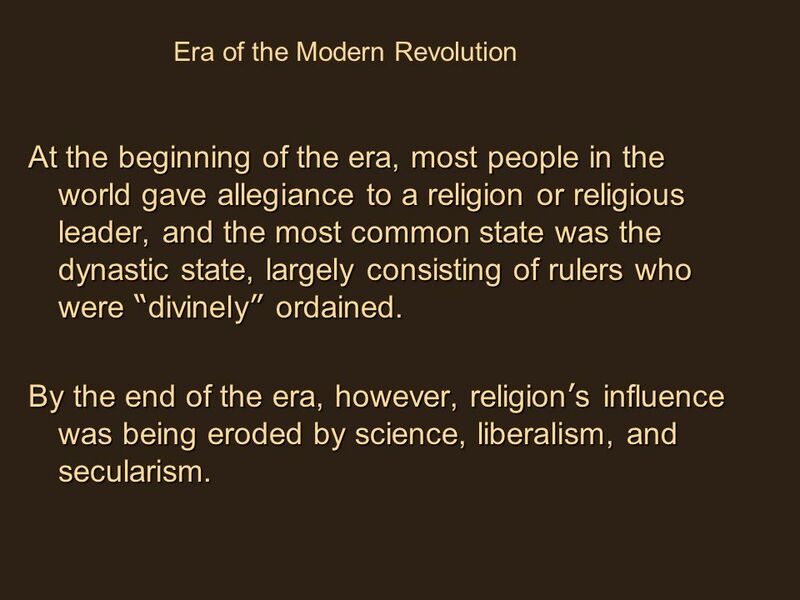 By the end of the era, however, religion’s influence was being eroded by science, liberalism, and secularism. For the first time, people all over the globe saw themselves as members of a nation for which they were willing to fight and die. 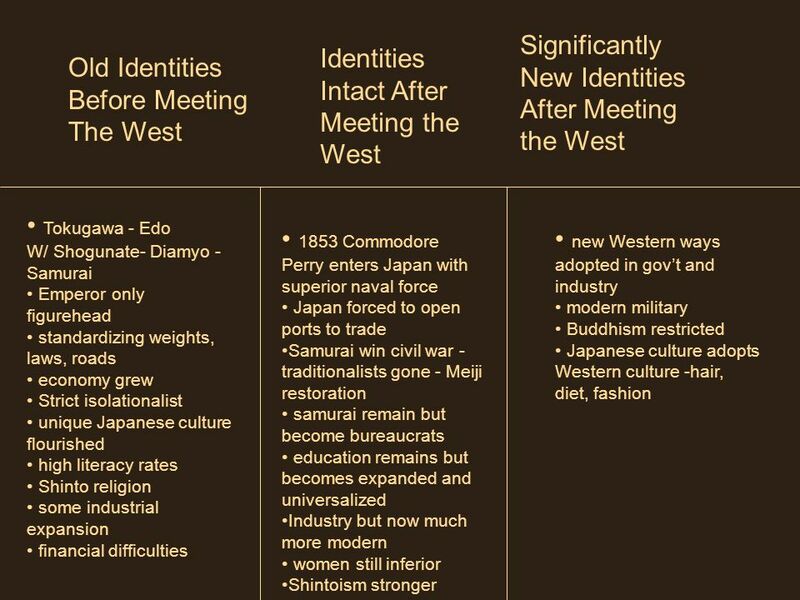 Such nationalism led to increased competition between powerful Western nations, which scrambled to increase their legitimacy by colonizing Asia and Africa. 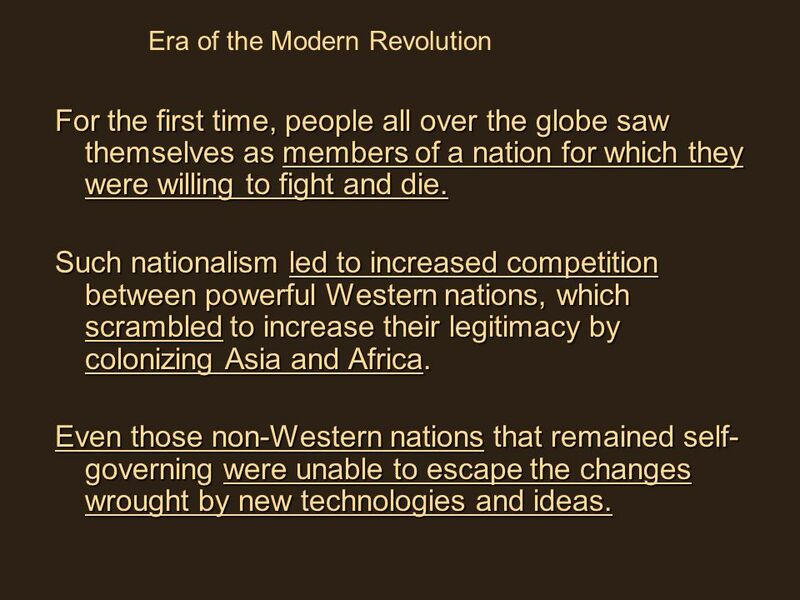 Even those non-Western nations that remained self-governing were unable to escape the changes wrought by new technologies and ideas. As imperial powers spread to other lands, they brought many of their scientific and liberal ideas with them. Some people embraced those ideas whole-heartedly and even used them to their advantage. In Africa, for example, elite men and women educated in Western-style schools became leaders in the African anti-colonialist and nationalist movements in the twentieth century. Others embraced liberal ideas in some spheres, like the military and industry, while rejecting democracy. Sometimes, disagreements over how to react to Western hegemony led to rifts within communities. 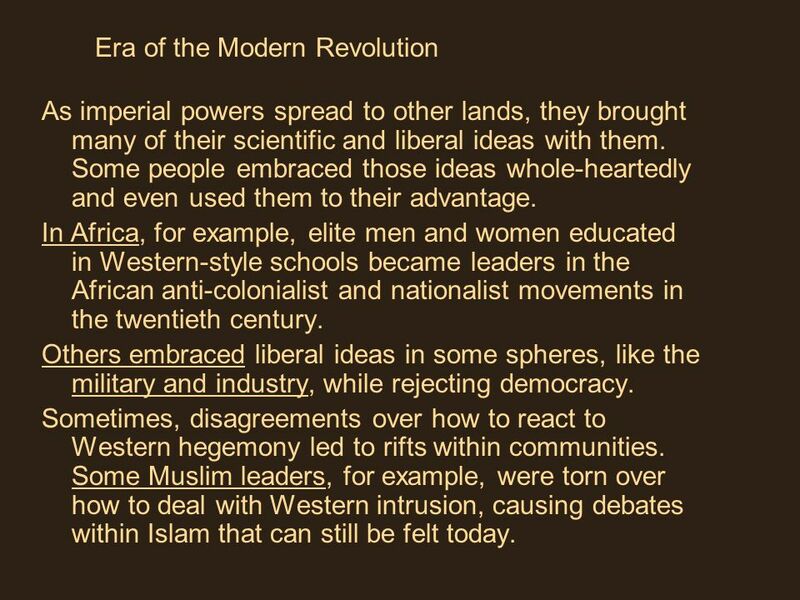 Some Muslim leaders, for example, were torn over how to deal with Western intrusion, causing debates within Islam that can still be felt today. Read the excerpts. 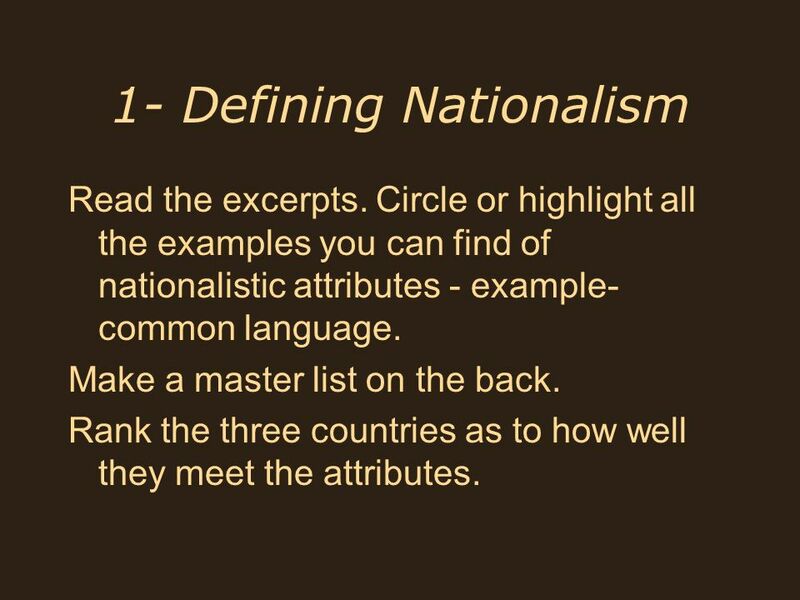 Circle or highlight all the examples you can find of nationalistic attributes - example- common language. Make a master list on the back. Rank the three countries as to how well they meet the attributes. 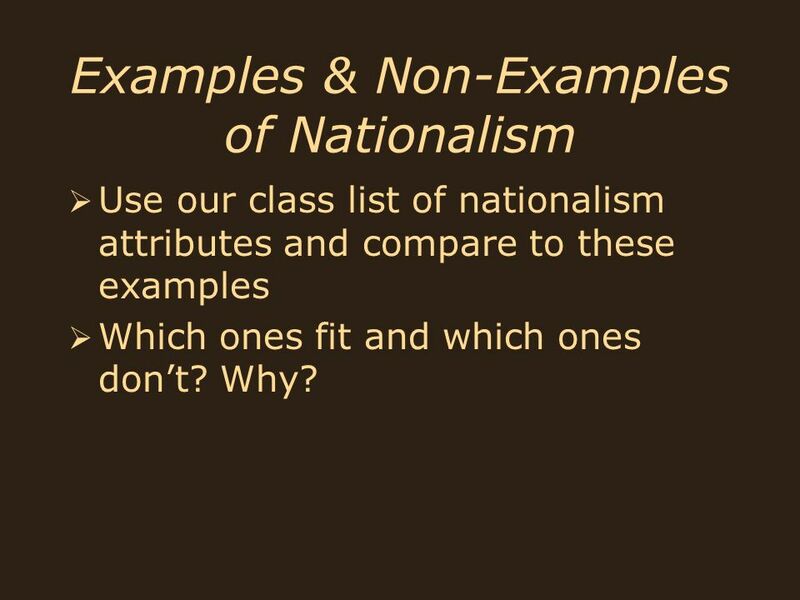 Use our class list of nationalism attributes and compare to these examples Which ones fit and which ones don’t? Why? Which ones fit? Why doesn’t one fit? what would have to happen to make it fit? Modern examples? 1. 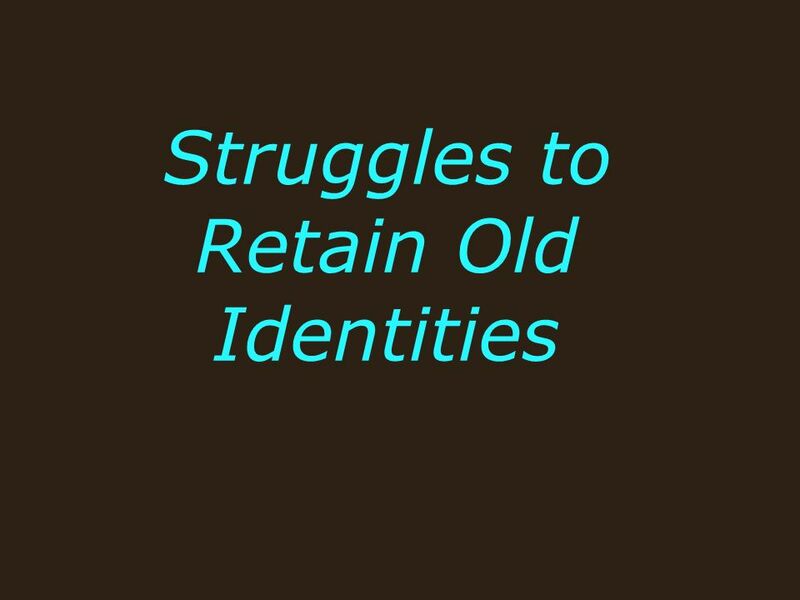 Valuing a collective identity based on history, language, race, and/or ethnicity 2. Believing a certain group of people is bonded together because of a shared identity 3.Placing loyalty to a defined nation above loyalty to other groups or individual interests. 4. 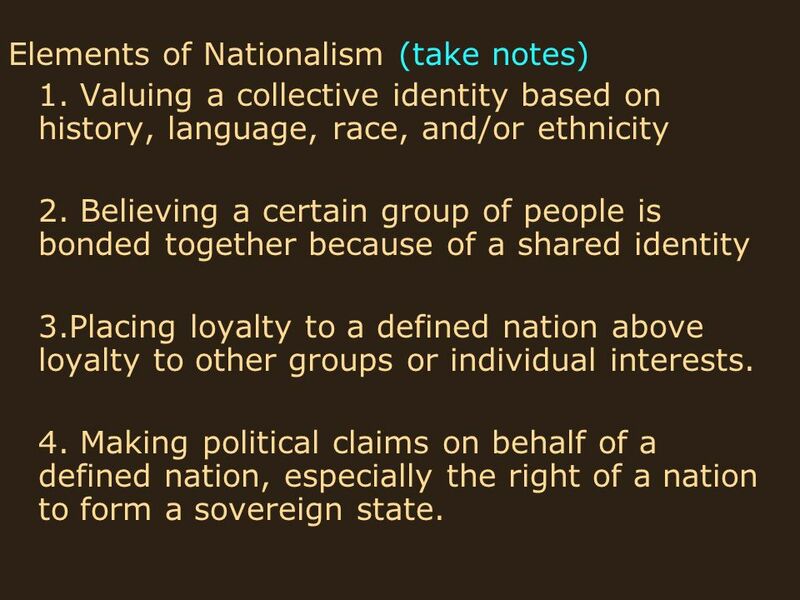 Making political claims on behalf of a defined nation, especially the right of a nation to form a sovereign state. Similarities? Differences? Why did these differences occur? 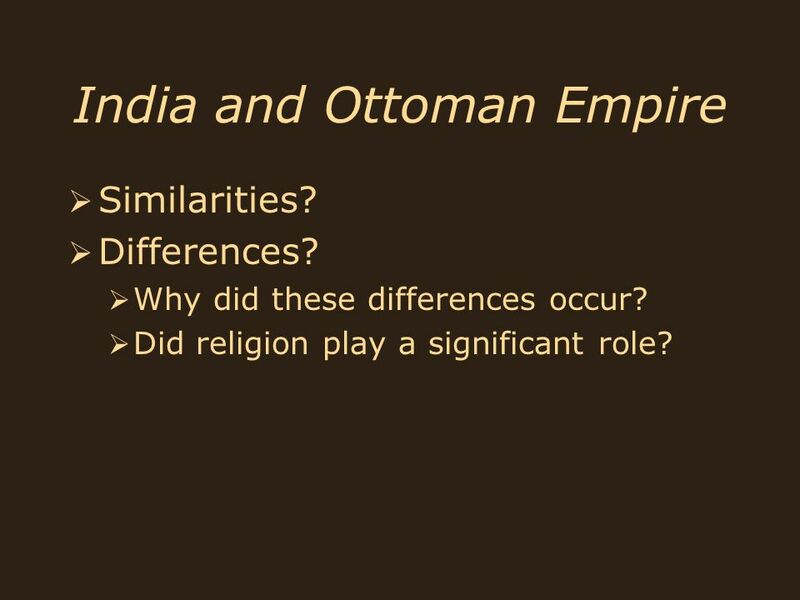 Did religion play a significant role? 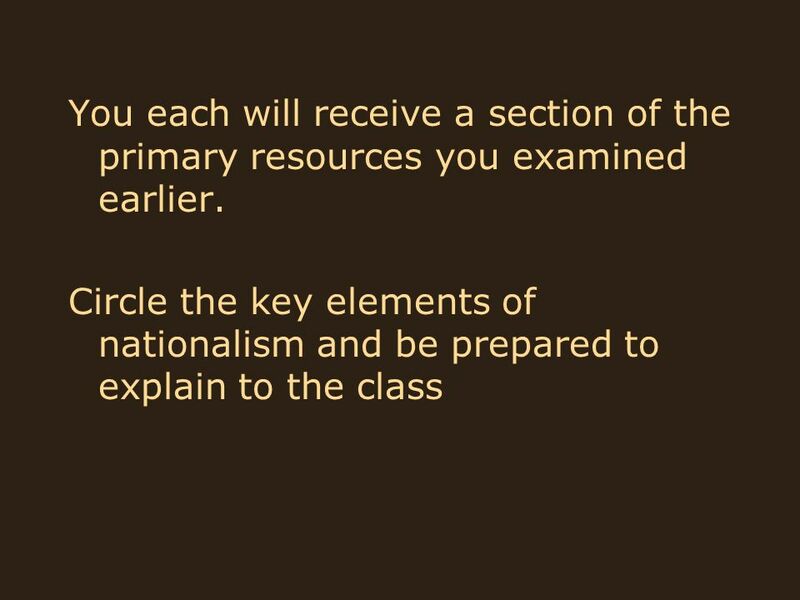 19 You each will receive a section of the primary resources you examined earlier. 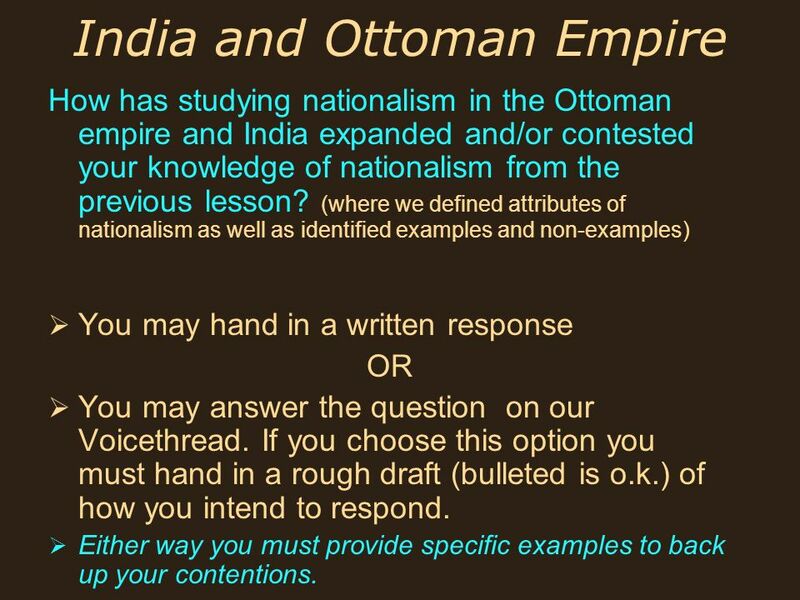 How has studying nationalism in the Ottoman empire and India expanded and/or contested your knowledge of nationalism from the previous lesson? 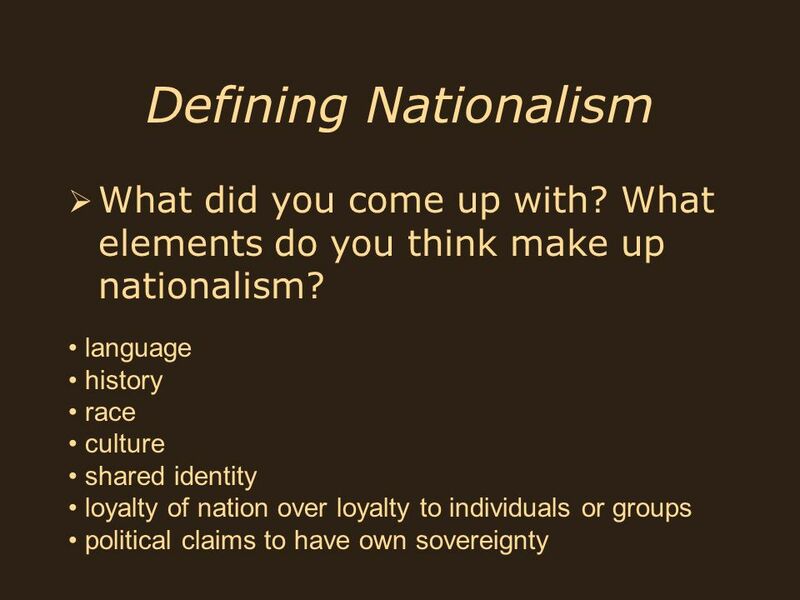 (where we defined attributes of nationalism as well as identified examples and non-examples) You may hand in a written response OR You may answer the question on our Voicethread. If you choose this option you must hand in a rough draft (bulleted is o.k.) of how you intend to respond. Either way you must provide specific examples to back up your contentions. Military - Culture - Objects - How might things have been different if there had been no exposure? 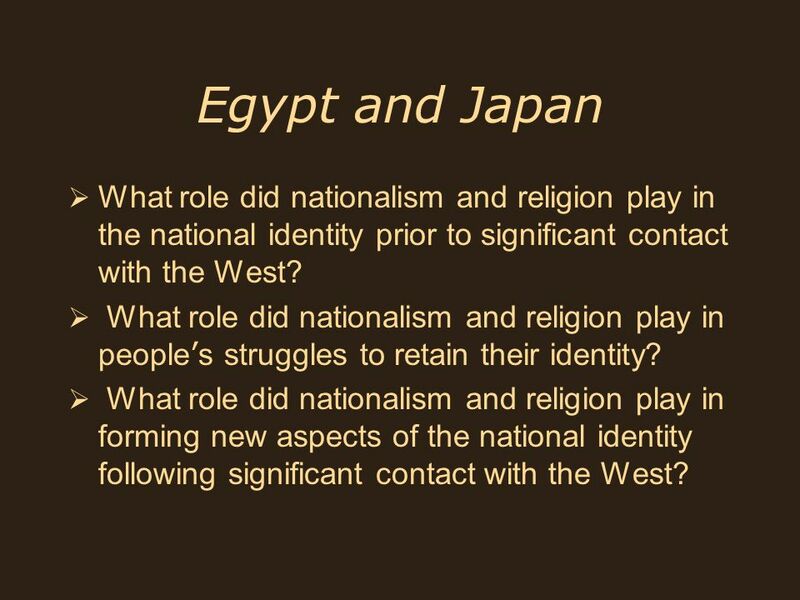 30 Egypt and Japan What role did nationalism and religion play in the national identity prior to significant contact with the West? 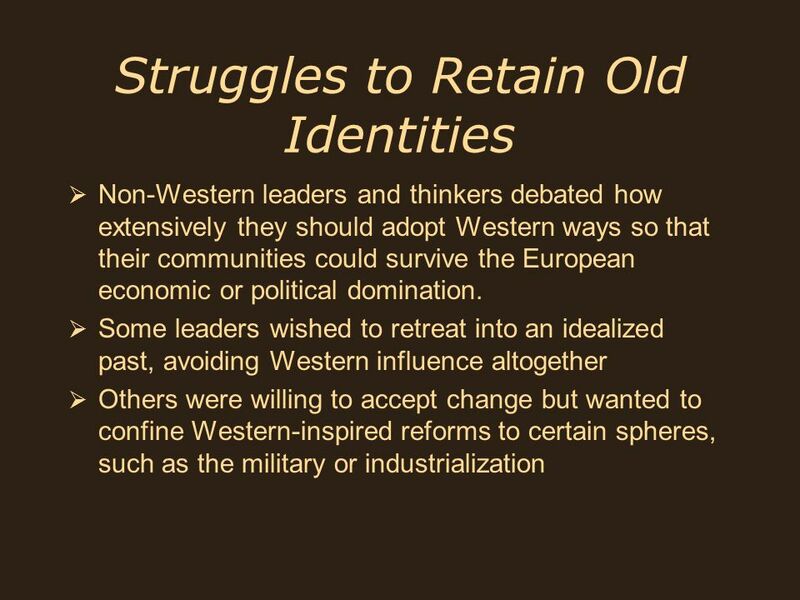 What role did nationalism and religion play in people’s struggles to retain their identity? 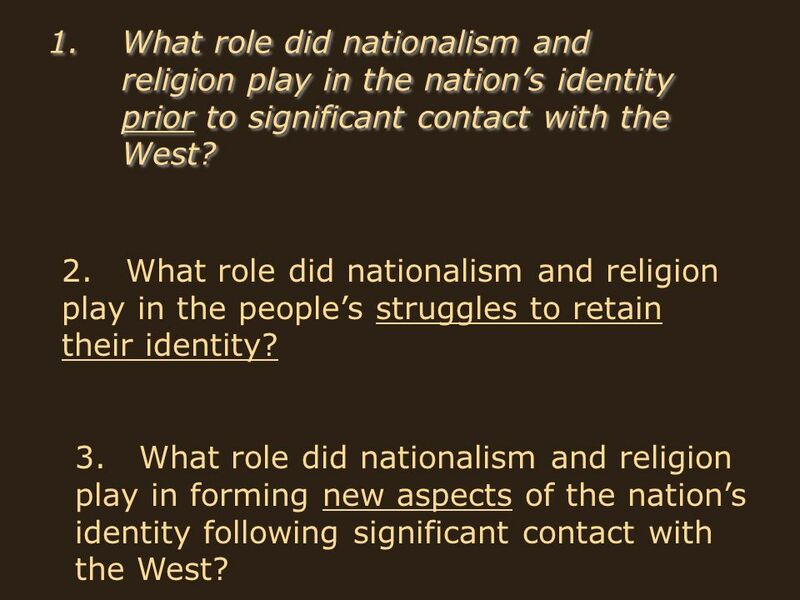 What role did nationalism and religion play in forming new aspects of the national identity following significant contact with the West? 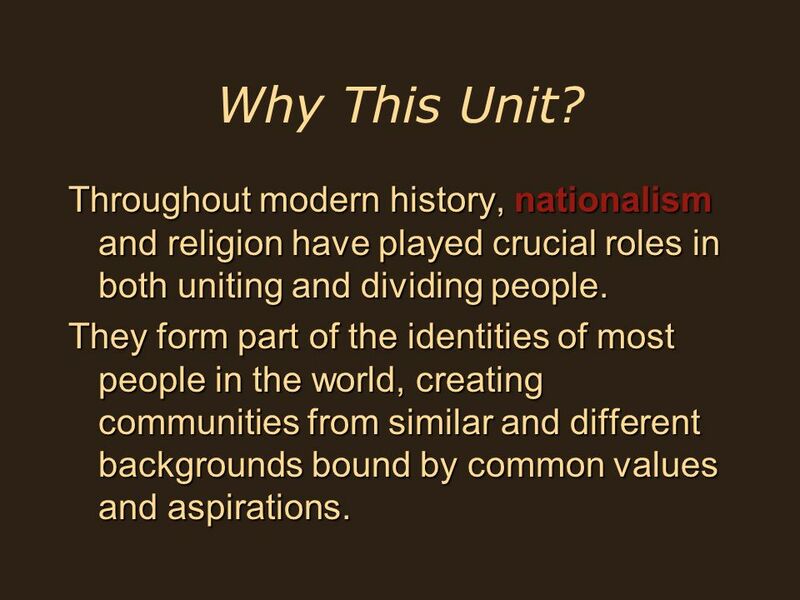 35 What role did nationalism and religion play in the nation’s identity prior to significant contact with the West? 2. What role did nationalism and religion play in the people’s struggles to retain their identity? What did they keep What could they not keep 3. What role did nationalism and religion play in forming new aspects of the nation’s identity following significant contact with the West? 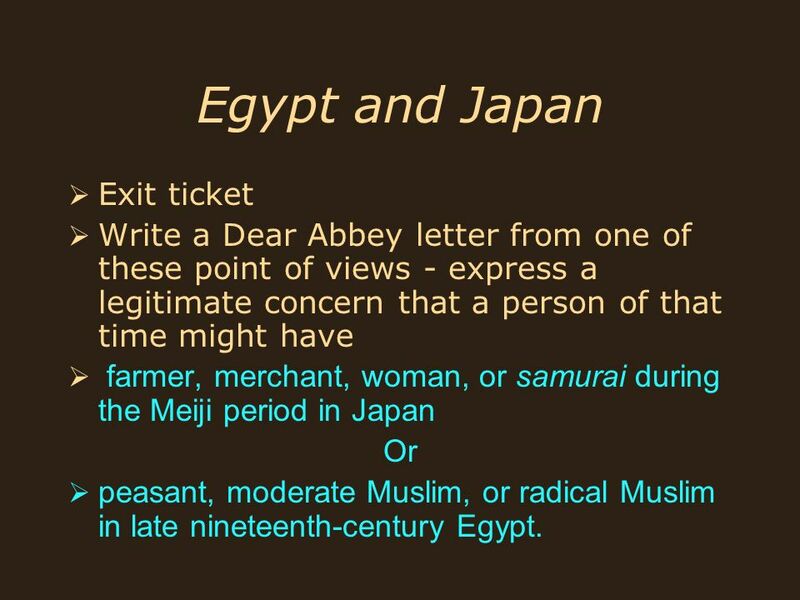 Write a Dear Abbey letter from one of these point of views - express a legitimate concern that a person of that time might have farmer, merchant, woman, or samurai during the Meiji period in Japan Or peasant, moderate Muslim, or radical Muslim in late nineteenth-century Egypt. 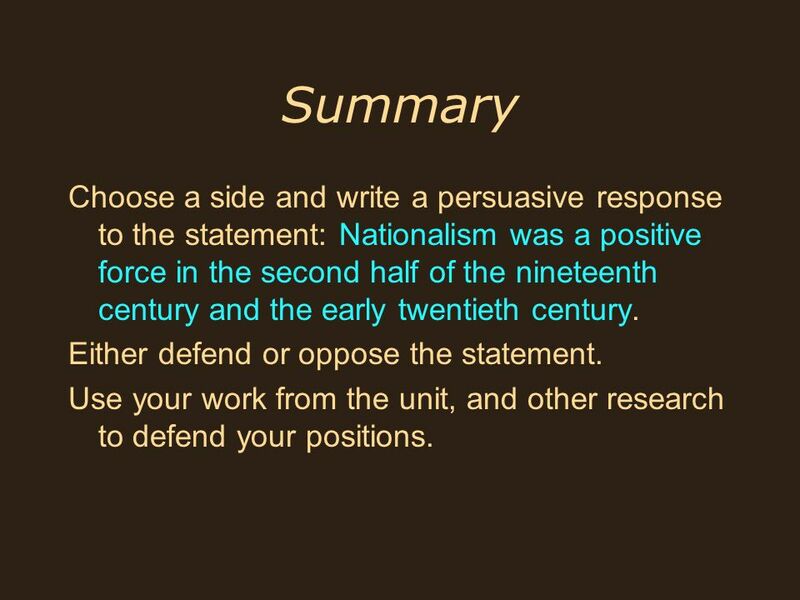 37 Summary Choose a side and write a persuasive response to the statement: Nationalism was a positive force in the second half of the nineteenth century and the early twentieth century. Either defend or oppose the statement. Use your work from the unit, and other research to defend your positions. Your reaction to the material in the unit. 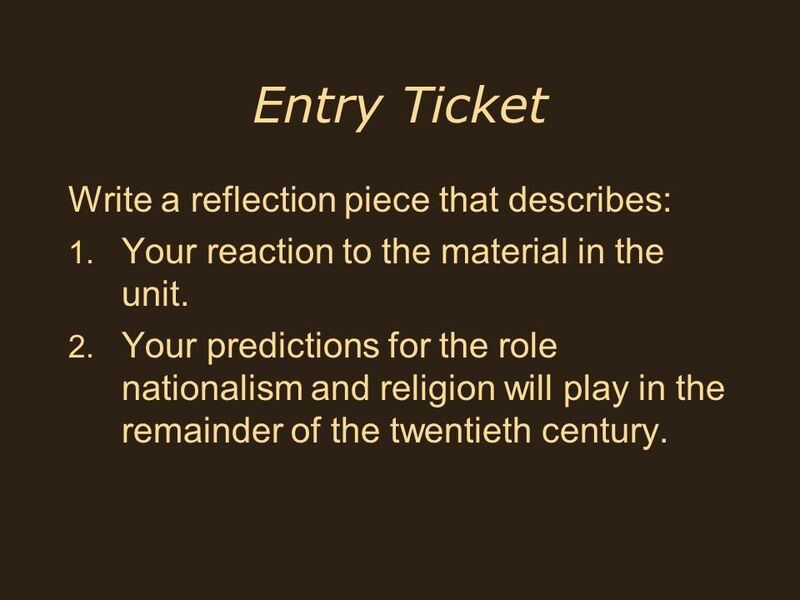 Your predictions for the role nationalism and religion will play in the remainder of the twentieth century. 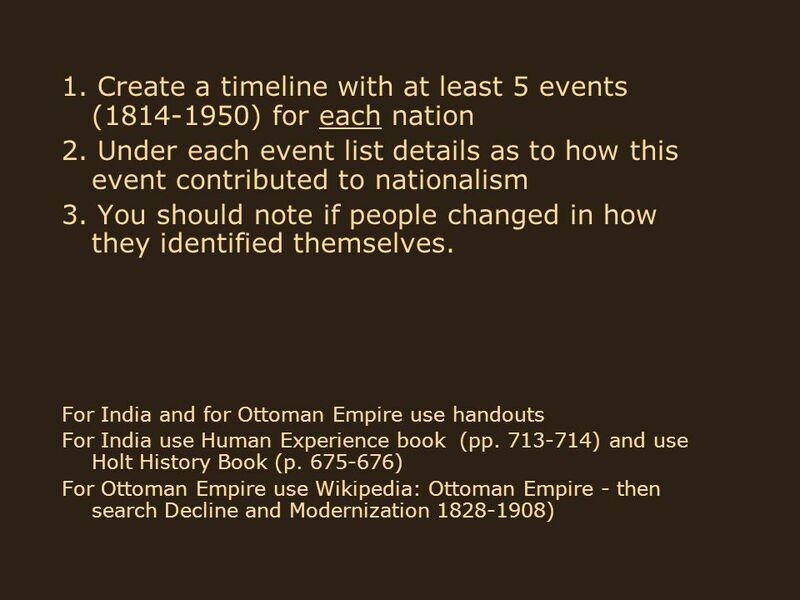 Download ppt "Nationalism and Imperialism"
Chris Anderson Randolph-Henry High School. The Congress of Vienna had created a relative peace in Europe that lasted almost 100 years Many in Europe believed. 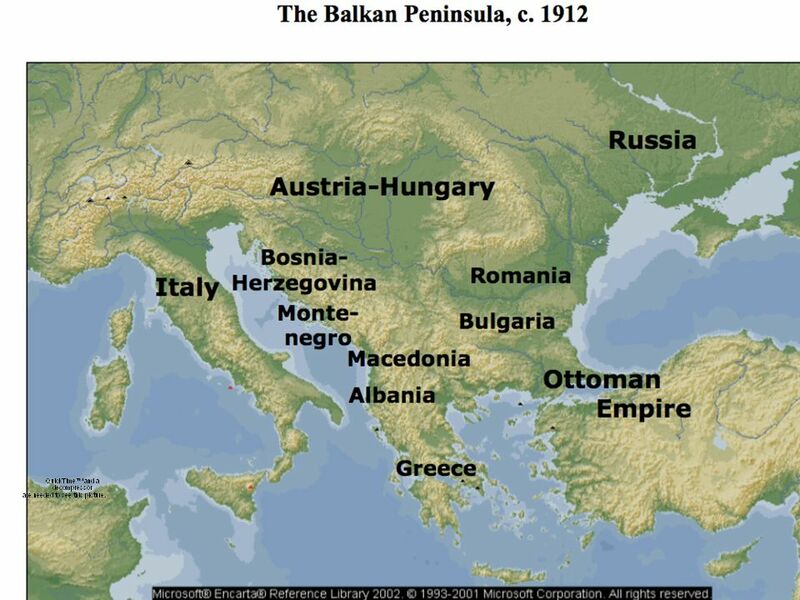 1750 – 1914 Overview (Why 1750 –1914?). 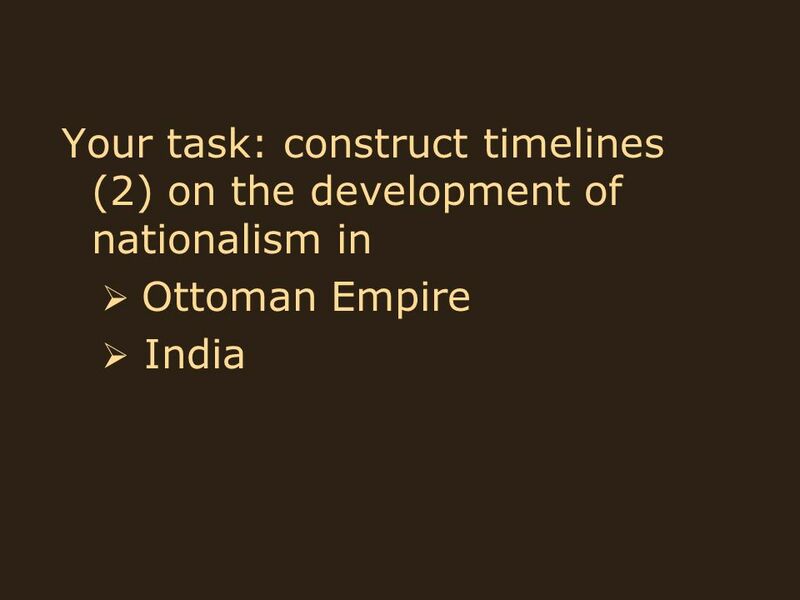 Late Nineteenth Century Imperialism Objective To understand the causes of European imperialism of the late 19 th century To understand the. 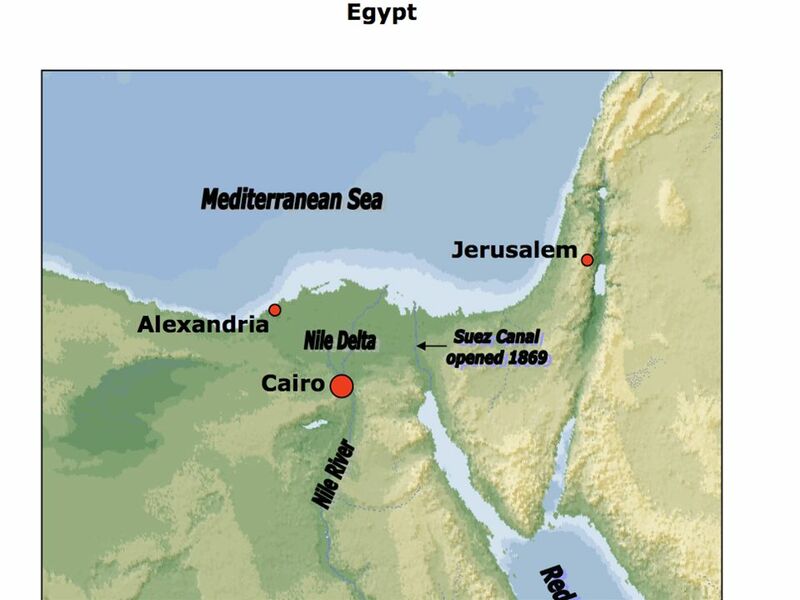 World History II SOL 5. SOL 5 Review Questions 1. 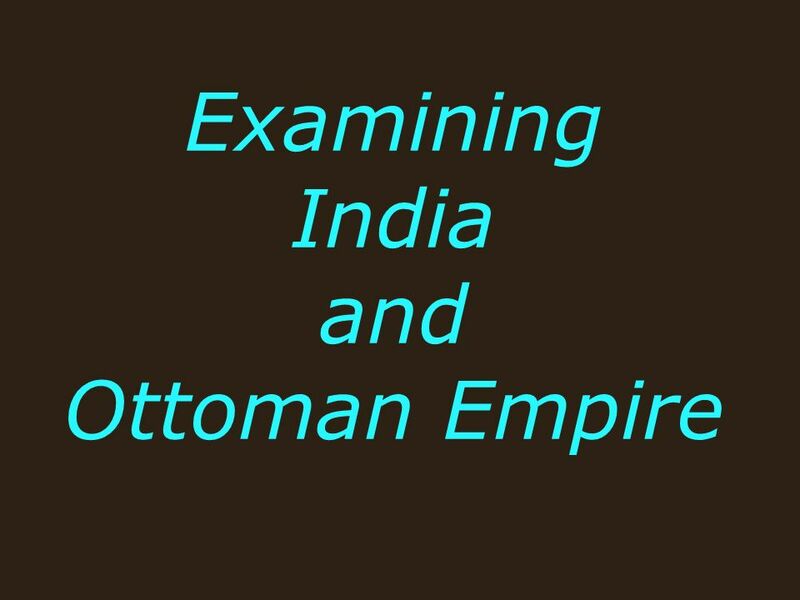 Where was the Ottoman Empire located, and where did it expand? 2. 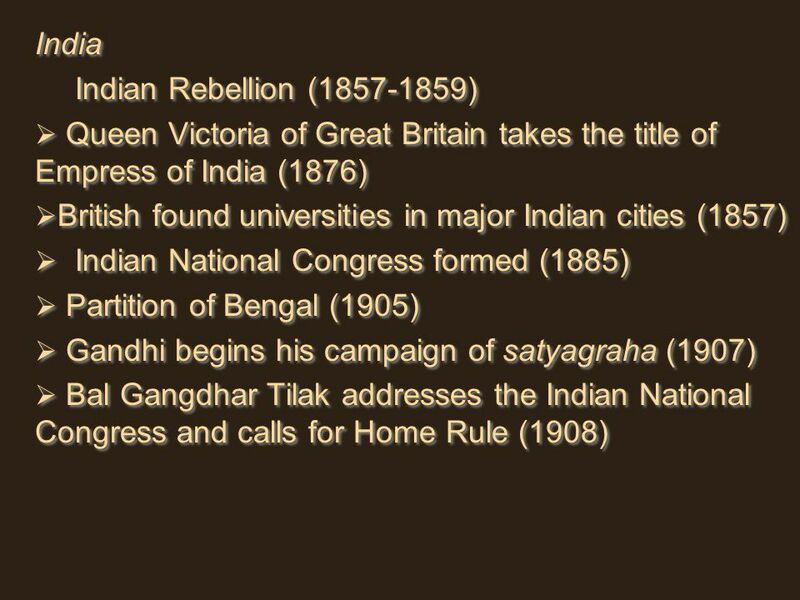 What were the contributions of the. Imperialism: International Economic Organizations The Use of National Power to Protect National Self-Interest. Chapters  A. 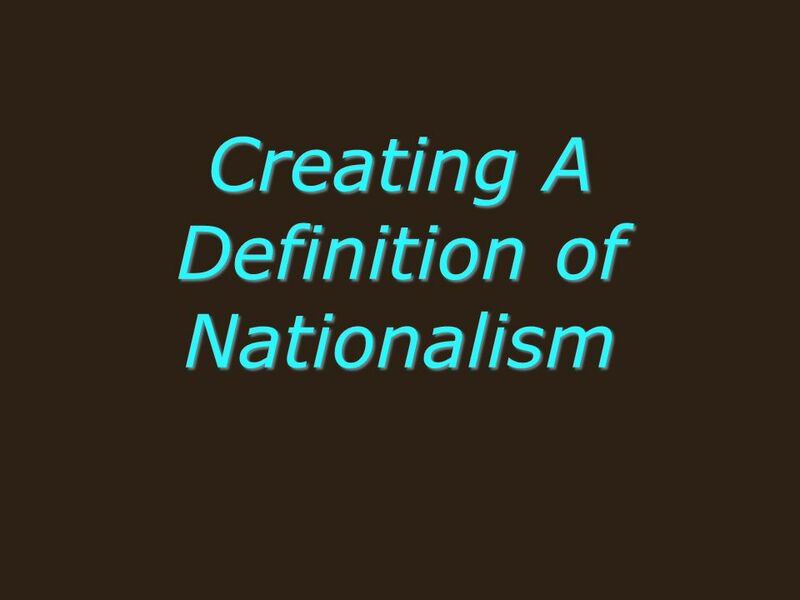 Nationalism is a feeling of love, loyalty, and devotion to one’s country. Someone who feels this love, loyalty, and devotion is. 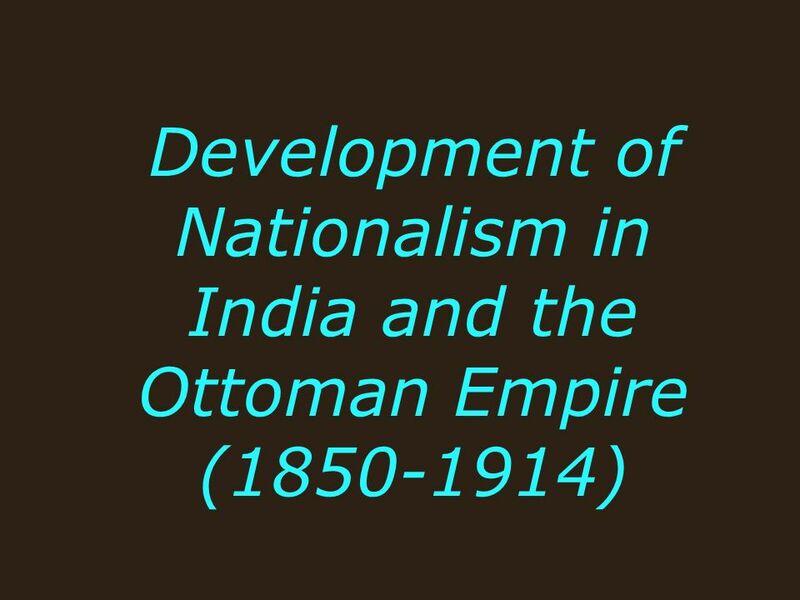  Nationalism & Imperialism in the Middle East As the Ottoman Empire is weakening, Nationalism movements rise in the Middle East. After the defeat of the. 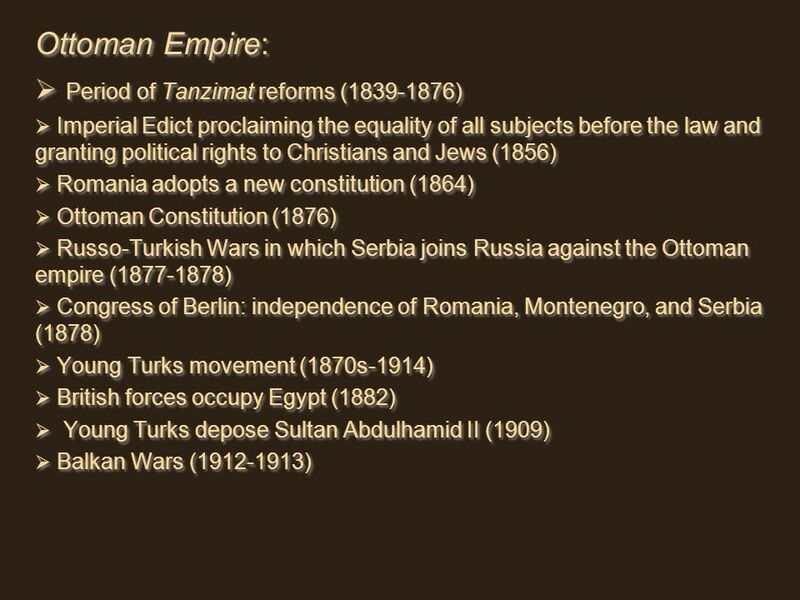 Ottoman Empire Controlled North Africa, parts of Middle East, Turkey, and Balkan Peninsula As it weakened European powers competed to take its lands Reasons. TEKS 8C: Calculate percent composition and empirical and molecular formulas. Europeans Build New Empires. Imperialism Part #2: Asia WHII #23. 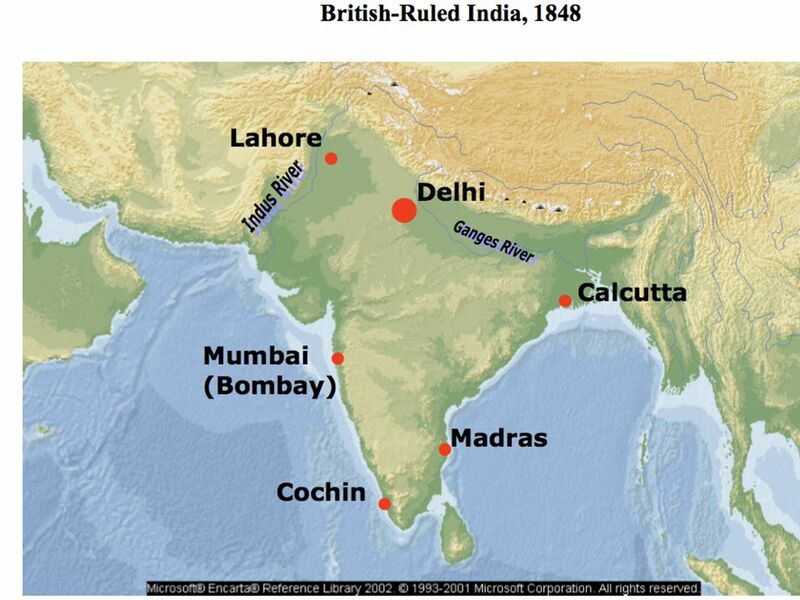 India Britain’s most important imperial territory. 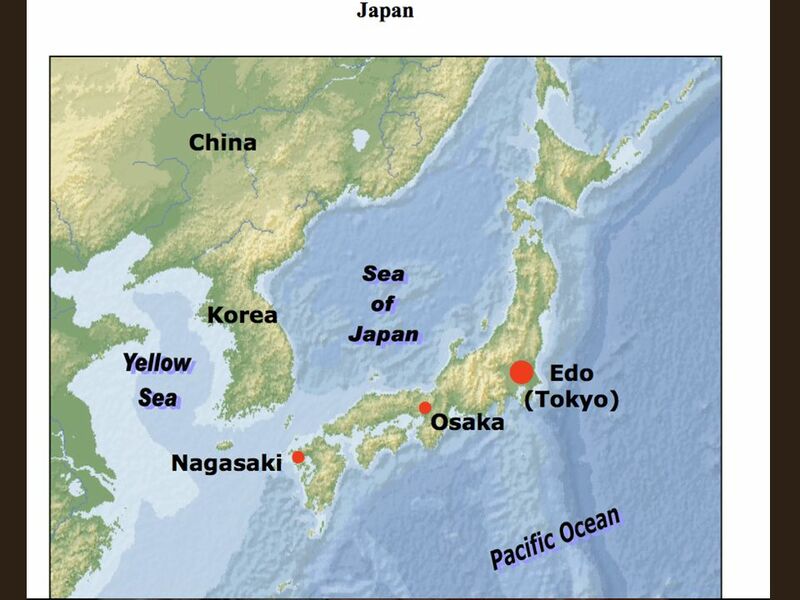 Britain’s most important imperial territory. Due to wealthy trade.